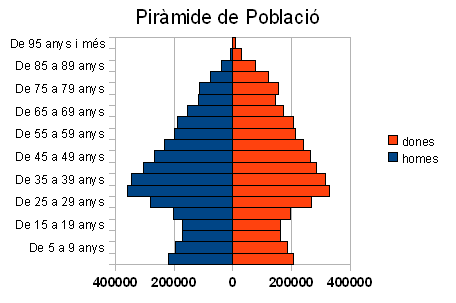 Select the range A5:A24 from the sheet dades. 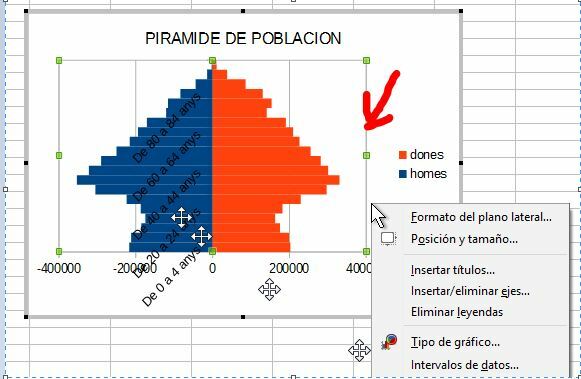 In order to place at the ages in the axis of the diagram select the tab Posicionament and in the drop down list bloc Etiquetes select the option Comença fora. MAKE A BACKUP COPY OF YOUR ACTIVITIES FILE. Open the file browser Nautilus using LLocs | inici. Open your calc activities folder. 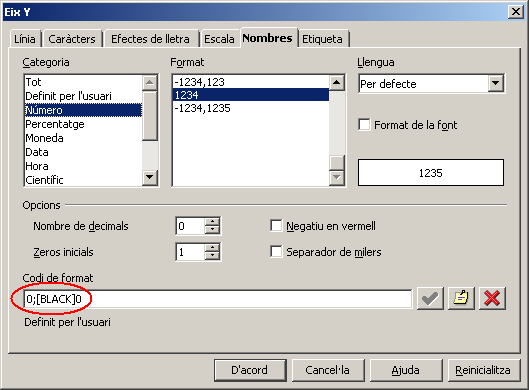 Select your Calc activities file and copy it (ctrl+c) and paste it (ctrl+v) in the same folder. This will create a perfect safety copy of your activities file, keeping in it the versions. Carry on working with the original file. 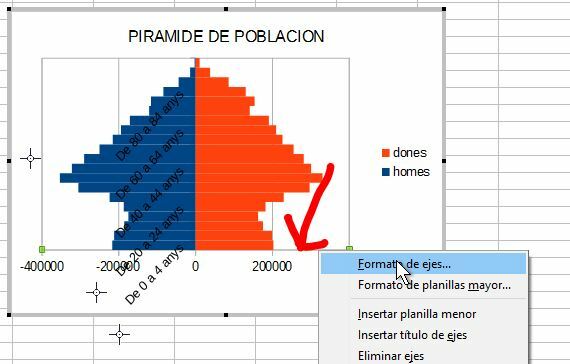 Select the sheet 6.2 Clima. 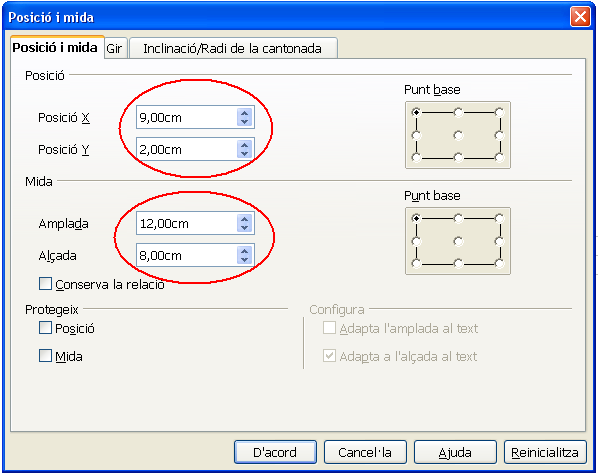 Create a table as the one shown below. 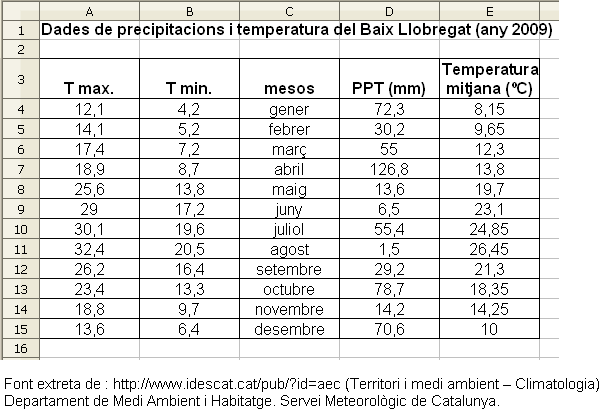 You must type (manually) the rainfall (PPT) and temperature (Tmax and TMIn) statistics in the table. 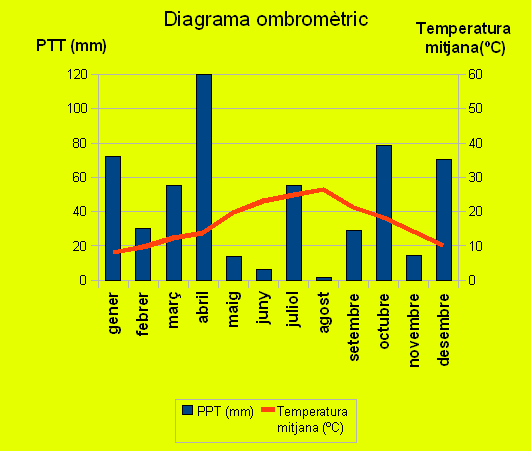 To work out the average of temperatures Insert in E4 the formula =MITJANA(A4;B4) and extend to E15. 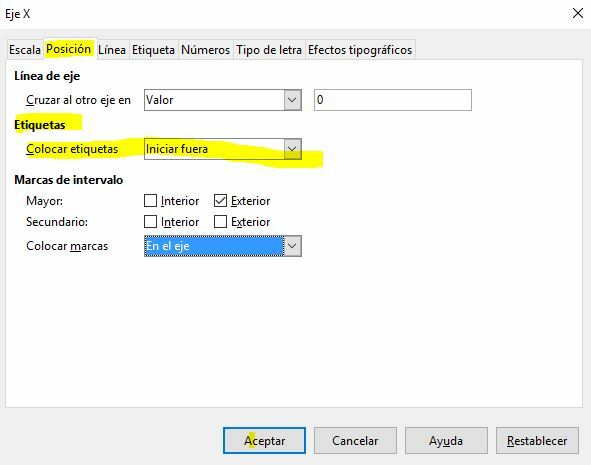 Click in the menu Insereix | Diagrama . Calc will open the charts wizard. Click on any cell in the spreadsheet and then click on the chart again to select it. 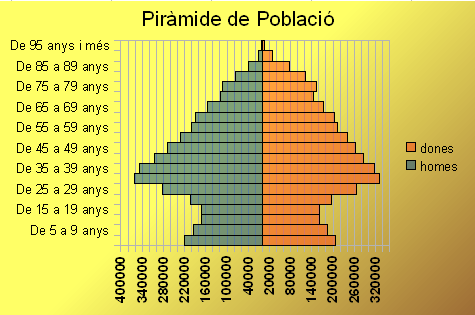 In the Posició i mida tab of the dialog, type width 12 cm and height 10 cm. 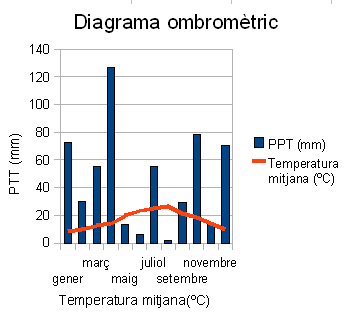 Double click on the chart to access the formatting options.